How to become an Amateur Radio operator in Switzerland? Many amateur radio operators have discovered this hobby rather by chance. Others have arrived through their professional training, and still others have "fallen off the plate" as part of their military service with the transmitting troops. Everyone has therefore made their own personal career. To obtain a license, amateur radio operators must hold a valid radiotelephone operator's certificate. The exams are organized by the Federal Office of Communication (OFCOM). These examinations cover the fundamental areas of electrical and electronic engineering as well as rules on the building and operation of the radio station. In Switzerland, there are two different levels: a limited power entry license (HB3) and the "big license" (HB9). The personal and unique call signs that the amateur radio operator receives with its license, and which begin with the prefix "HB3", are allocated to the entry license holders. Thus, the operation is possible on 2m and 70cm. 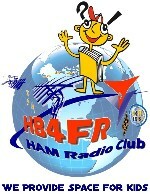 From 1 January 2008 in Switzerland, also the shortwave bands 160m, 80m, 15m and 10m have been released, while the power is limited to 100 Watts. For the "big HB9 license", the requirements of the test are higher. However, it allows unrestricted operation on all assigned frequencies up to a power of 1000 Watts. For short wave activities, the ability to traffic in Morse code is no longer required since 2003. However, Morse code is still maintained as a traditional and widespread mode. On the OFCOM website you will find all the necessary information about the examinations, including examples and texts of the laws to be known. The necessary knowledge can be acquired either in appropriate schools, through correspondence courses or by taking courses offered by some cantonal sections of the Union of Swiss Short Wave Amateurs (USKA). Local clubs are also ideal contact points. You will find a list with the addresses of affiliated clubs on the USKA website . The versatility of amateur radio operators. The "hobby" of amateur radio is a very versatile hobby that combines with many other activities. The range of theoretical and practical knowledge amateur radio extends from Maxwell's equations through electrotechnics, electronics, the science of the propagation of electromechanical waves, the radio technique to the hot tip of the soldering iron.